With the World Series hangover finally subsiding, let's recap the Red Sox offseason: Jacoby Ellsbury pulled a Judas, David Ortiz got his money, Mike Napoli found his shirt, Clay Buchholz is healthy (for now), Will Middlebrooks and Jenny Dell went public and a championship banner is flying over a snow covered Fenway. It's now time to officially turn the page and kick off the 2014 season in Red Sox Nation. While the 2013 Sox surprised just about everyone, what can we expect from the Olde Towne team this season? 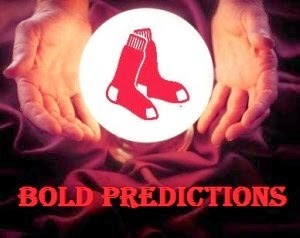 Red Sox Life contributors and some RSL friends were asked for three bold predictions for the 2014 season. 1. Huge year for Will Middlebroooks. 2. Big Papi will NOT earn his dough. 3. Grady Sizemore won't break down. I made two last two last night. See segment. 1. Will Middlebrooks leads team in home runs with 33 and makes the All-Star team. 2. Clay Buchholz wins the Cy Young Award with 20 wins and a sub-3 ERA. 3. Red Sox become first team since 2000 to win back-to-back World Series when they beat the Cardinals again. 1. The Sox will repeat - the Sox retained much of their core and added some good pieces, so I think they can repeat. 2. Grady Sizemore will tear it up, hitting .330/15 home runs/80 RBI's. 3. Dustin Pedroia will win MVP. 1. Will Middlebrooks hits 30 homers. 3. 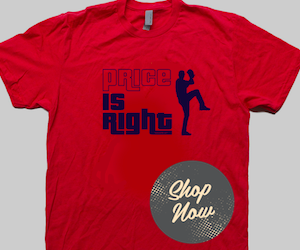 Red Sox win AL East. 1. Jacoby Ellsbury will win MVP. 2. Don Zimmer will beat up Pedro Martinez. 3. Fever Pitch 2 will hit theaters and make the world hate the Sox more than ever before. 1. Grady Sizemore stays healthy. 2. Daniel Nava stands up. 3. Big Papi hits a homer in the third home game. 1. Will Middlebrooks and Xander Bogaerts will both hit well enough to keep (most) fans happy, but the X-Man's defense will be shaky enough at times to make some of those fans wonder where Stephen Drew is. 2. Grady Sizemore will be on the DL before Jacoby Ellsbury; in Sizemore's case, it will be no later than Memorial Day. 3. Koji Uehara will become human at the worst possible time in September. 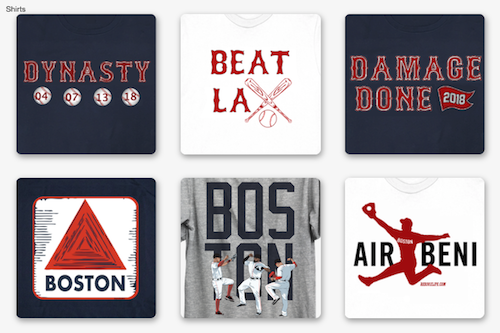 You only hope the Red Sox have locked up a playoff spot by the time that happens. 1. Stephen Drew dies tragically after mailing self to Fenway Park but forgetting to cut out air holes in box. 2. Xander Bogaerts hits 35 homers, wins Rookie of the Year, AL MVP and reveals he's actually Wolverine. 3. Red Sox beat Yankees for AL Pennant, lose World Series when Carl Crawford steals home in the bottom of the 10th of Game 7. 1. Koji KO'd: Koji Uehara's right arm falls off after recording the final out on the last day of the regular season in a 4-3 game against the Baltimore Orioles, clinching the AL East pennant for the Sox. Afterwards, his arm is bronzed and hung on the back wall of the Boston bullpen. "Luckily," says A.J. Pierzynski, "Koji is deftly ambidextrous when it comes to high-fives." Through a translator, Koji says "I didn't think A.J. knew what 'deftly' meant." 2. Love, Iggy: From a dark-and-cushy recuperative lair somewhere in the burned-out shell known as Motown, Jose Iglesias pens a series of heartfelt hate letters to John Henry, Larry Lucchino and Tom Werner. Signs them "Tim McCarver". 3. The Beards and the Bees: In an unexpected and poignant tribute to the troops serving both at home and abroad on Memorial Day, Mike Napoli releases the small family of doves he has been carefully nurturing in his beard since the start of Spring Training. Baseball is back! Have a bold prediction? Leave a comment below.